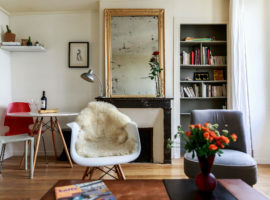 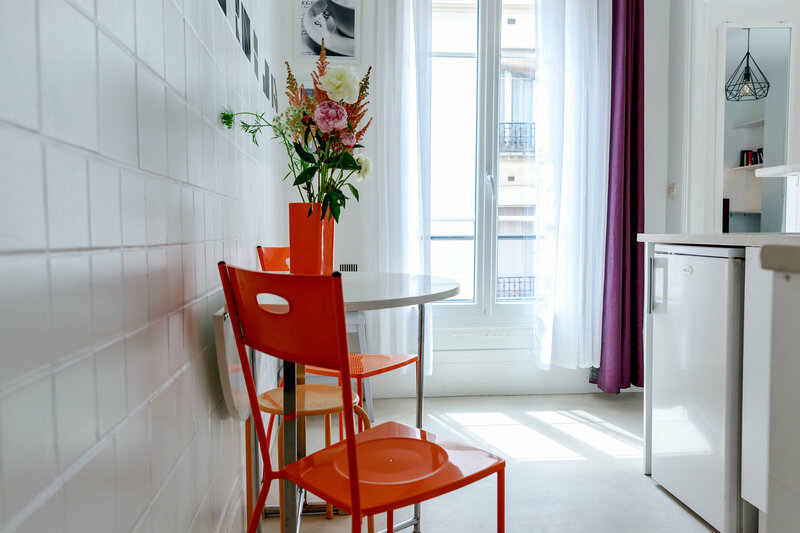 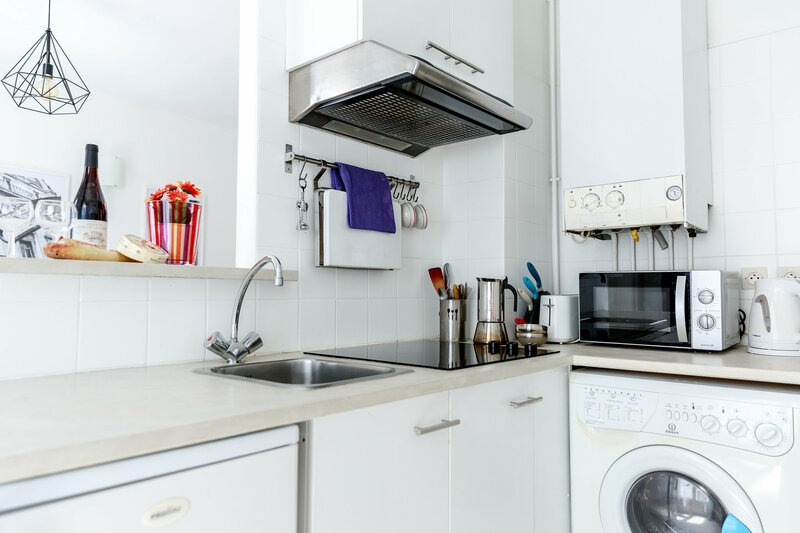 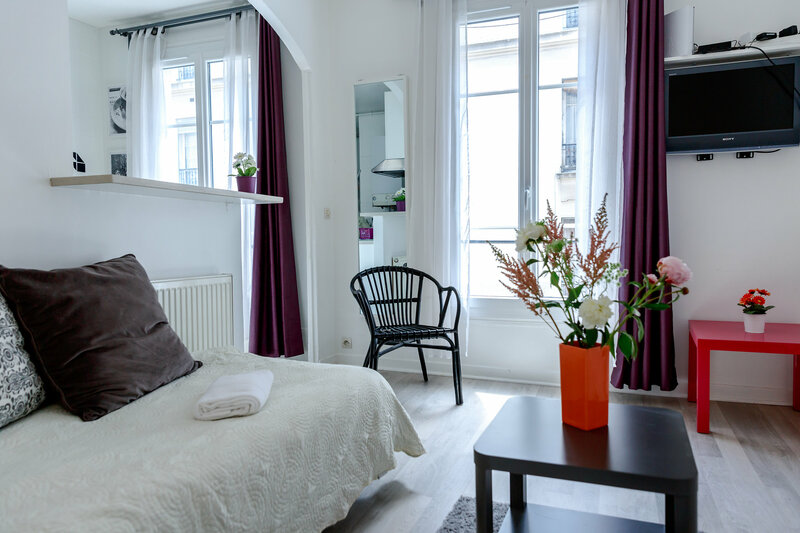 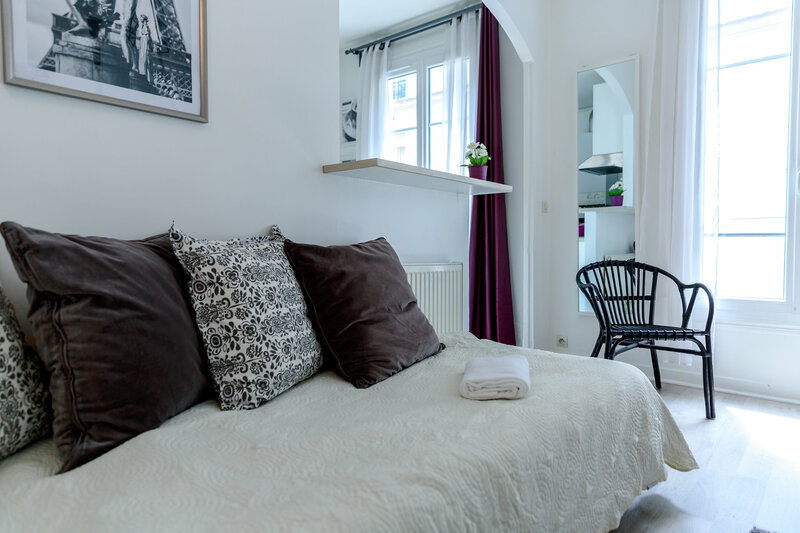 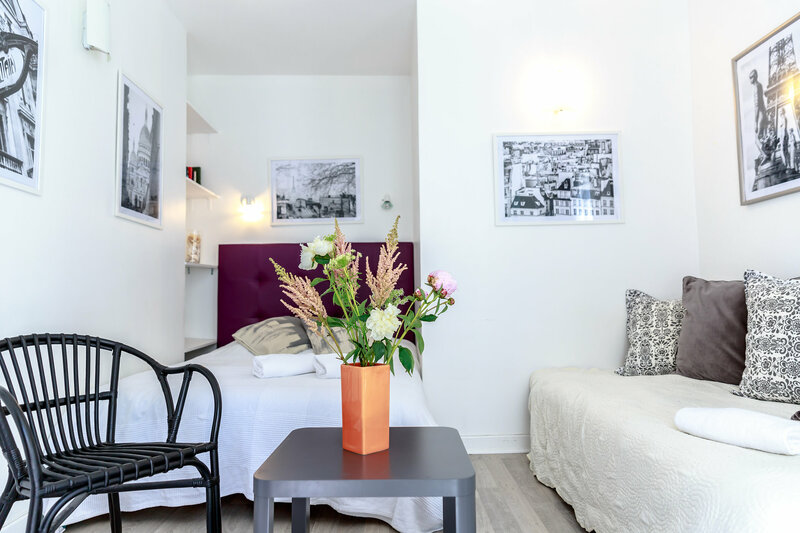 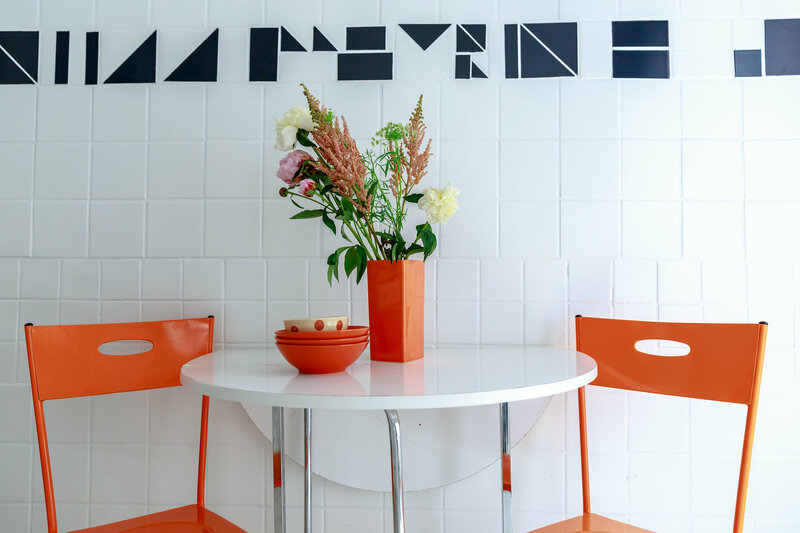 The Braque apartment is a charming and spacious studio. 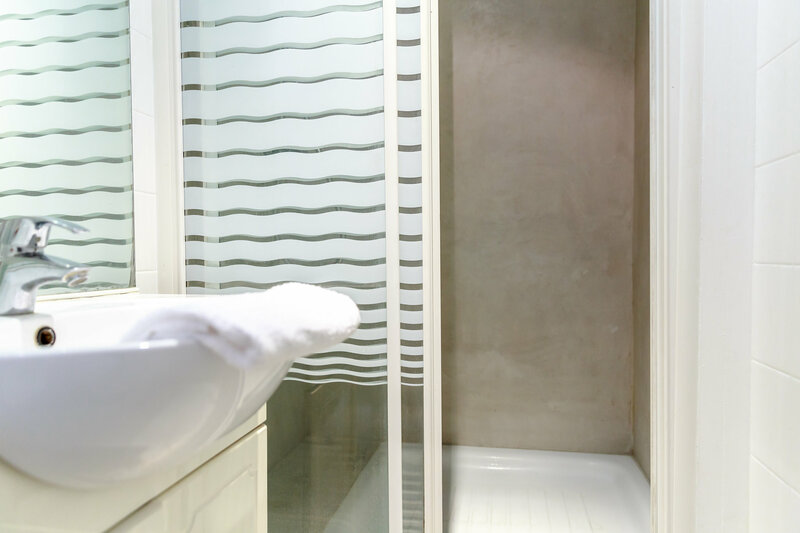 It comprises of double glazed windows with view on a quiet flowery courtyard. 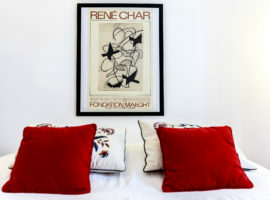 The Braque is decorated in light tones. 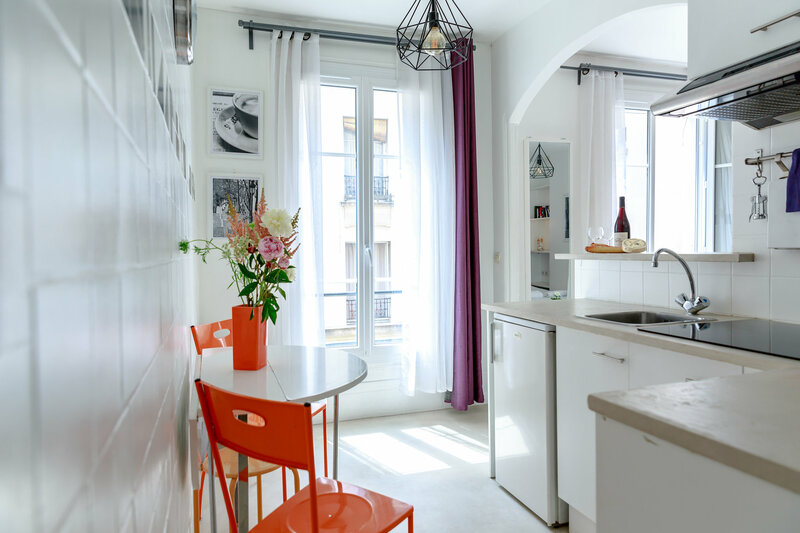 There is a separate kitchen and eating area – with a small table located next to the windows for taking meals. 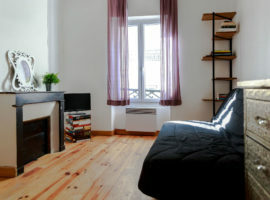 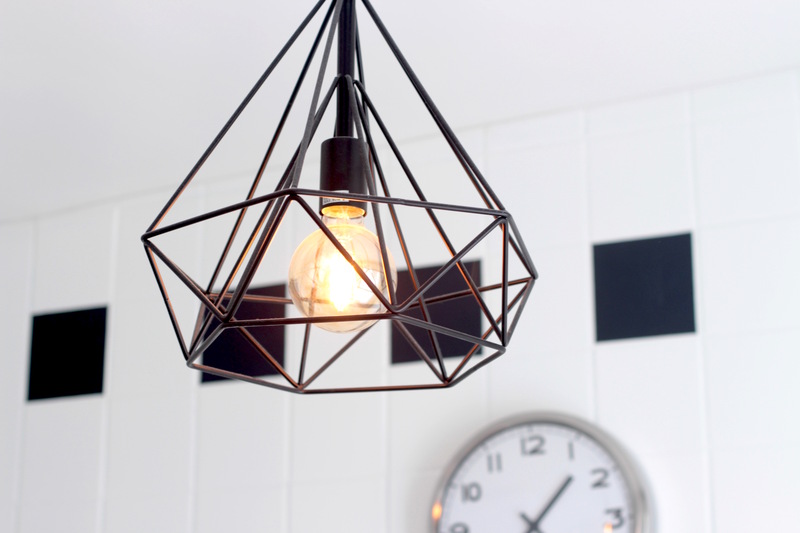 In this cosy atmosphere, the apartment can welcome up to 3 people. 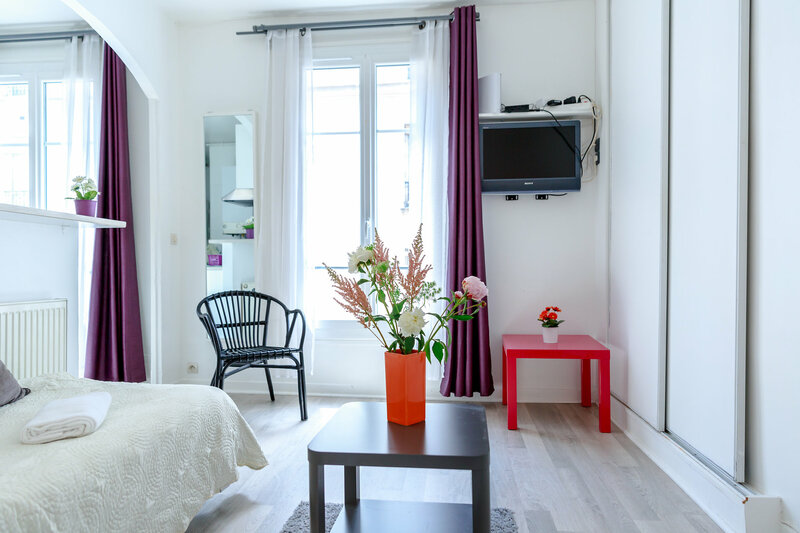 The living room is well equipped with a double bed and a single bed and there is a flat screen TV and free wifi. 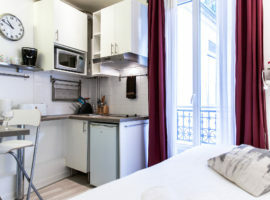 The apartment is located on the 2nd floor without a lift. 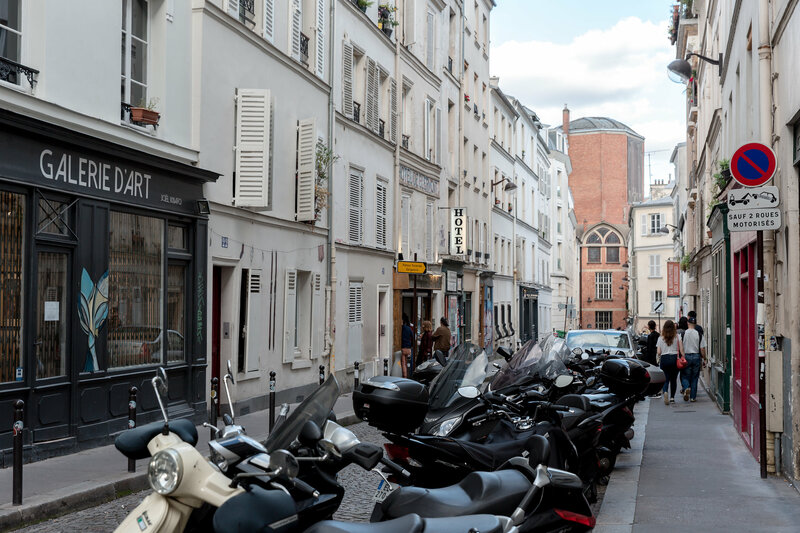 In the heart of the Montmartre neighbourhood, in a quiet street. 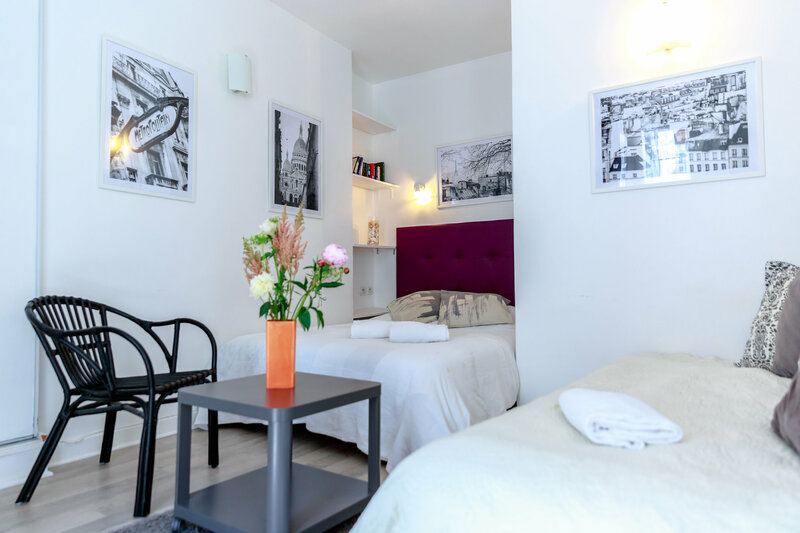 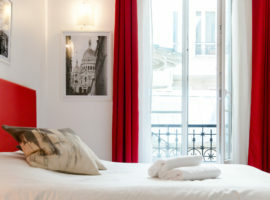 At not even 400 metres from the Moulin Rouge and 15min from the Sacré Coeur, the Braque offers the perfect location. 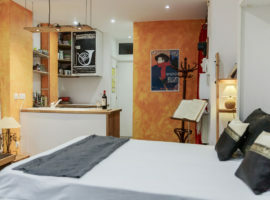 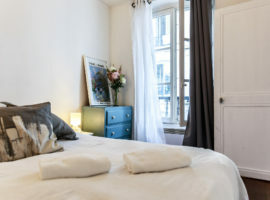 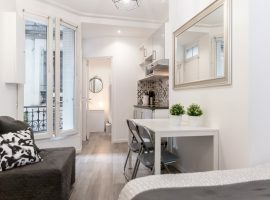 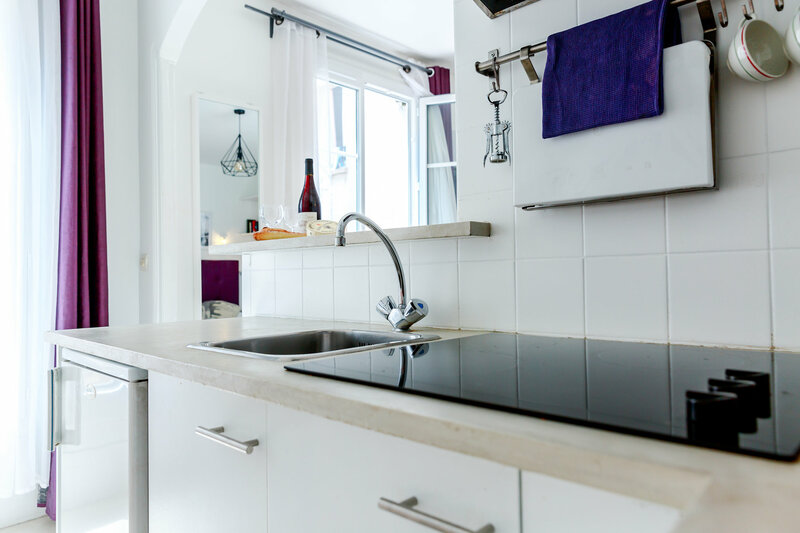 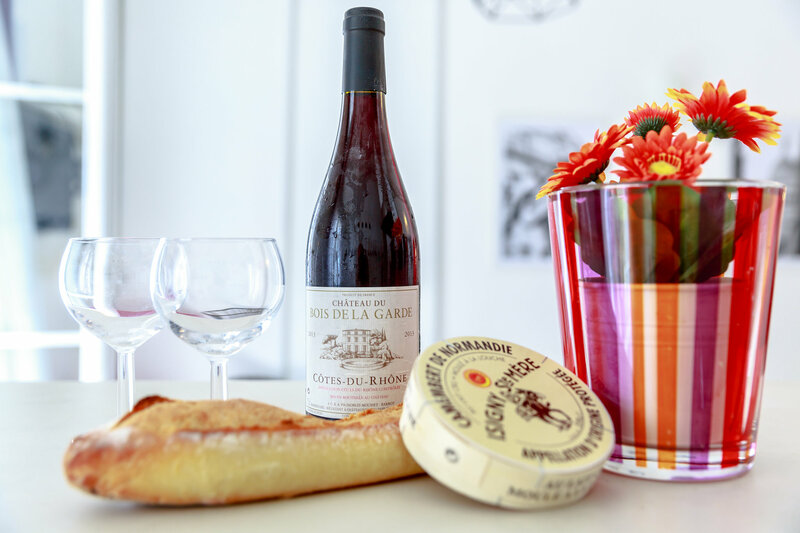 It is in the heart of the Abbesses village and very close to many restaurants, cafés, shops and several metro and bus routes.